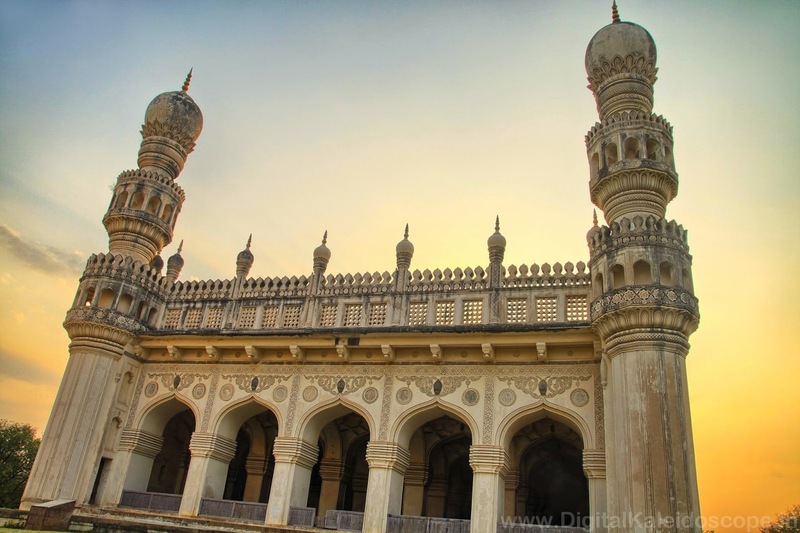 Qutb Shahi Tomb complex is located close to the Golkomda Fort in Hyderabad and it is the largest Necropolis in India. 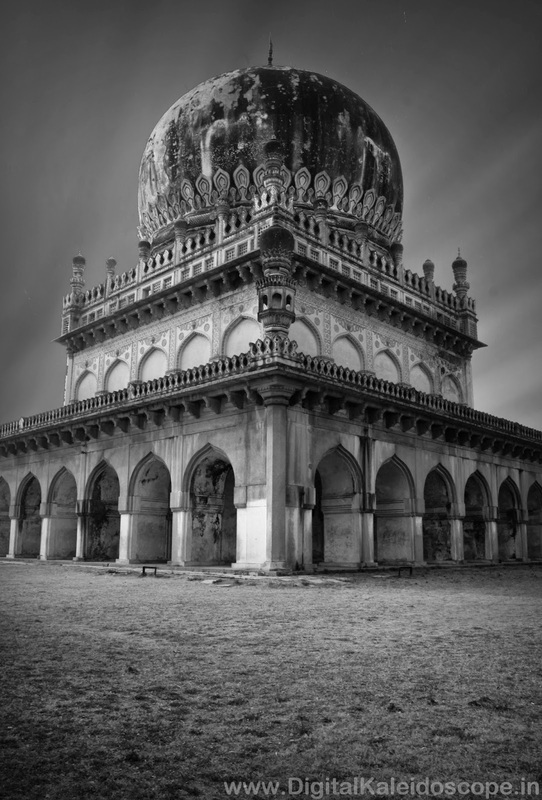 The Tombs were built to bury and pay tribute to the late Sultans of the Qutb Shahi Empire .These monolithic structures have stood the test of time and reminds us of a forgotten past. 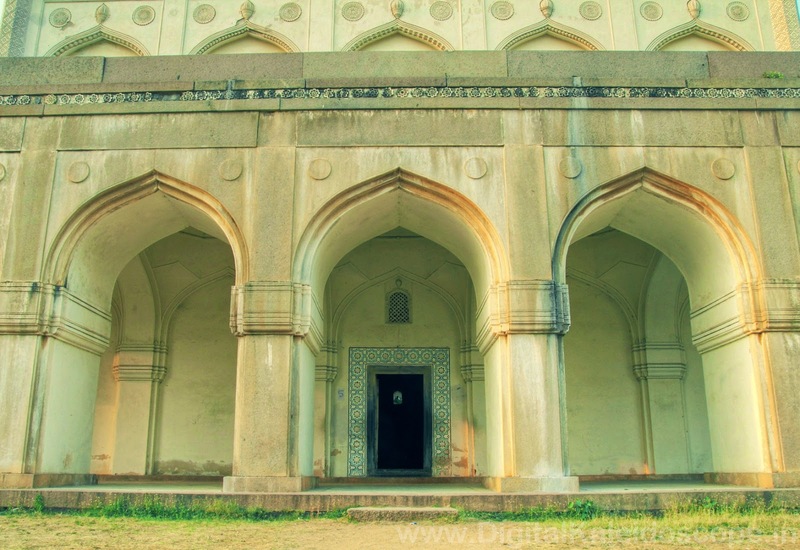 On my trip to Hyderanad I first visited the popular Golkonda Fort and it was definitely worth the visit but it did not captivate me as much as the Qutb Shahi Tombs. 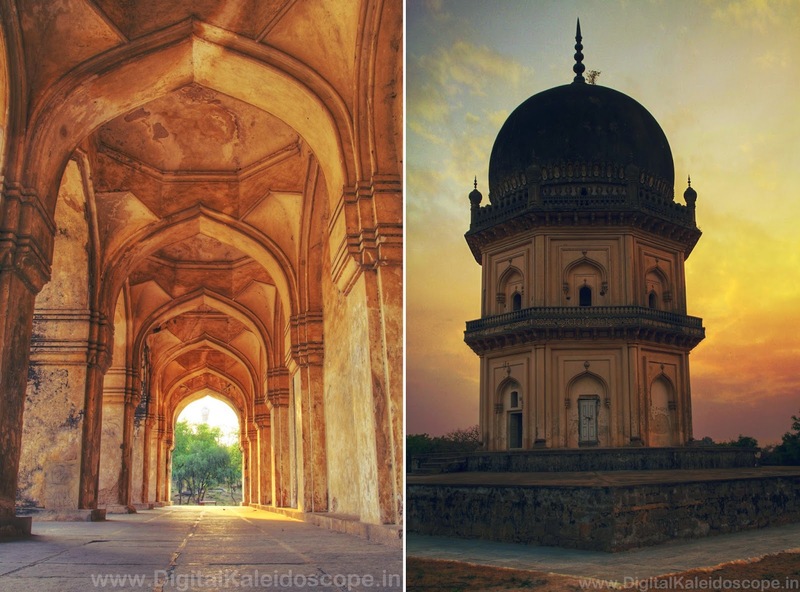 From a photographers perspective beautiful Mughal architecture, larger than life tomb structures and frames without tourists are the perfect recipe for a beautiful photo. The best time to visit the site would be around 3 in the afternoon. 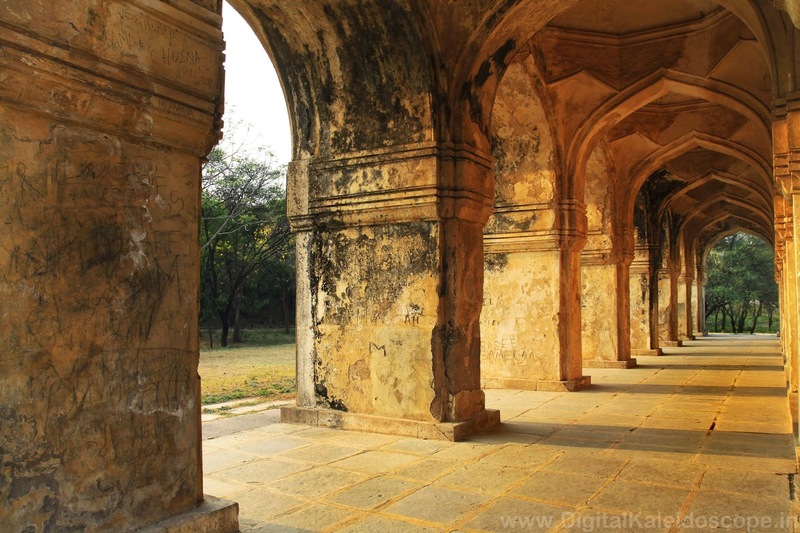 It would take you 2 to 3 hours to see all the structures and explore the grounds. You could also visit in the morning as soon as the complex opens .I suggest evening because the big buildings look beautiful in the evening sun. 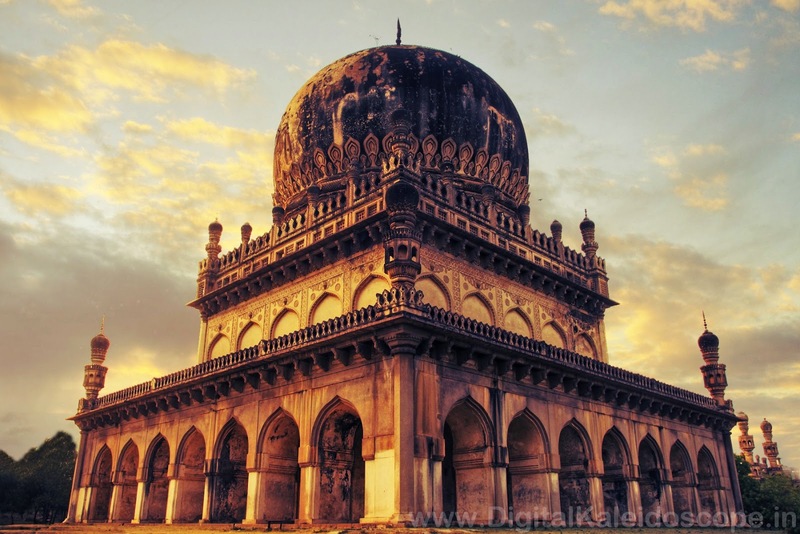 Be warned, the summers in Hyderabad can get super warm. Not sure how safe it is for a female traveller to explore the grounds alone , when I went there were hardly any people around.